Paula's Hair and Wig Boutique is now located in the Picasso Salon, two doors to the left of our old location in Liberty Square Plaza. We are in full business and available to tend to all of your hair needs: hairdressing, hair pieces, wigs, and all other hair services. Please call Paula's to schedule your appointment at (203) 799-8510. We understand that hair replacement is something very personal and life changing. That is why our professional technicians are here to give you a natural, beautiful solution to thinning hair or hair loss. We offer a premier line of natural human hair and synthetic hair pieces, cranial prostheses, wigs, toupees, and extensions, including micro bead extensions. Get the trendsetting hairstyle you need to turn every head at Paula's Hair and Wig Boutique LLC. From haircuts and coloring, to micro bead extensions, to wig maintenance, our stylists offer a wide variety of hair services to formulate the perfect look for your style. 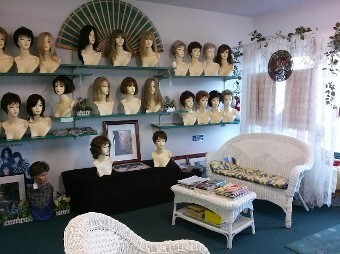 Paula Wood opened Paula's Hair and Wig Boutique 30 years ago to offer services to those individuals facing rapid hair loss as a result of chemotherapy, radiation therapy, and other causes of alopecia. She understands that having cancer, dealing with treatments, and then losing your hair is difficult and traumatic. Paula's goal is to make you look and feel better on the outside so that you'll feel a little better on the inside. At our salon, we believe in having the most skilled and advanced hair replacement specialists available. We are licensed hair stylists and cosmeticians who are also certified in hair replacement. Our informative and individualized approach to beauty and hair replacement is the hallmark of our services. When you choose us, you can rest assured you are receiving the finest hair services at competitive prices. Restore your look and confidence from thinning hair or hair loss. Visit Paula's full-service hair and wig boutique to view our premier line of customized non-surgical hair replacement pieces, wigs, toupees, hair toppers, and extensions. We offer both natural human hair and synthetic hair pieces, wigs, and extensions, including micro bead extensions. Call today for a free personalized consultation and the pampering you deserve. We'll be happy to assist you with your medical insurance forms. Paula's Hair and Wig Boutique LLC maintains an A+ rating with the Better Business Bureau and is proud to be listed on the Breast Center-Smilow Cancer Hospital at Yale-New Haven website. Wide selection & full service in a comfortable setting. Contact us at 866-639-9705 to schedule an appointment at our full-scale hair and beauty salon. Home | Hair | Replacement | Testimonials | Before & After Photos | Contact | Insurance.